Polish State Railways, Inc. 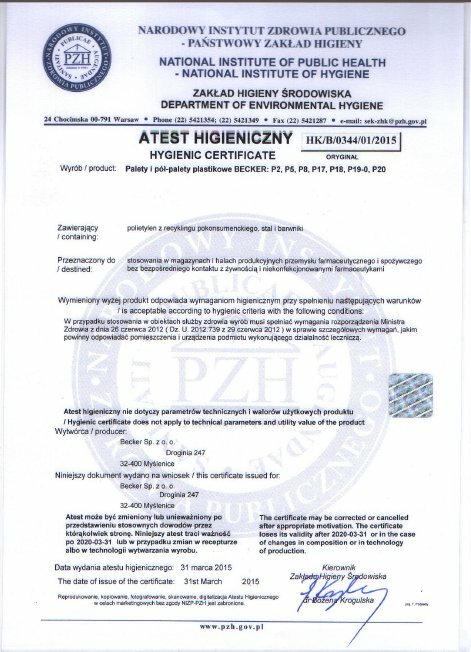 The certificate for a recognized product manufacturer issued by PKP CARGO Ltd. The conclusions resulting from the tests conducted on the plastic Euro-pallets manufactured by Becker Sp. z o.o. and certified wooden Euro-pallets.